Johnny Depp returns to the big screen as the iconic, swashbuckling anti-hero Jack Sparrow in the all-new Pirates of the Caribbean: Dead Men Tell No Tales. The rip-roaring adventure finds down-on-his-luck Captain Jack feeling the winds of ill-fortune blowing strongly his way when deadly ghost sailors, led by the terrifying Captain Salazar (Javier Bardem), escape from the Devil's Triangle bent on killing every pirate at sea—notably Jack. 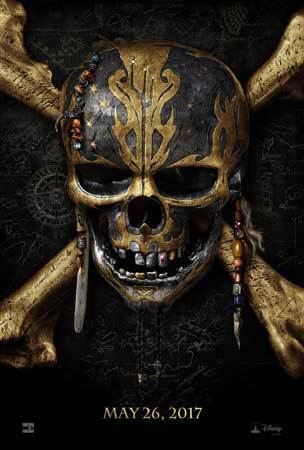 Pirates of the Caribbean: Dead Men Tell No Tales is in theaters May 2017! Which "Pirates" movie is your favorite? Comment below!